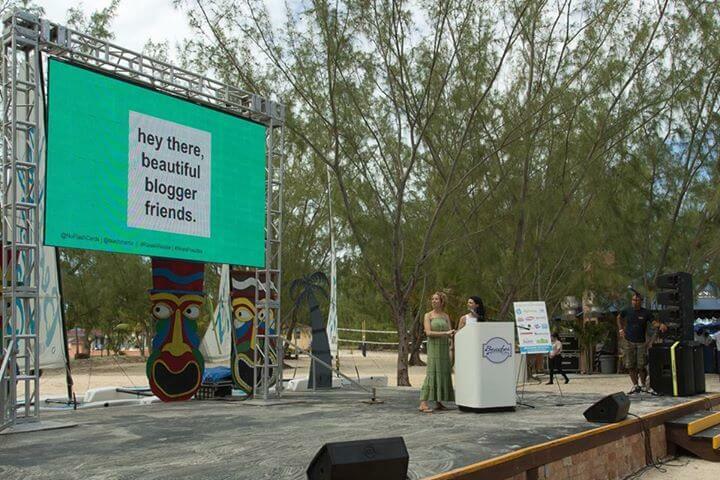 A couple of months ago I received an email inviting me to attend the invitation-only Social Media on the Sand Conference at Beaches Resorts and Spa in Turks & Caicos, and I literally shrieked and jumped up and down in excitement! 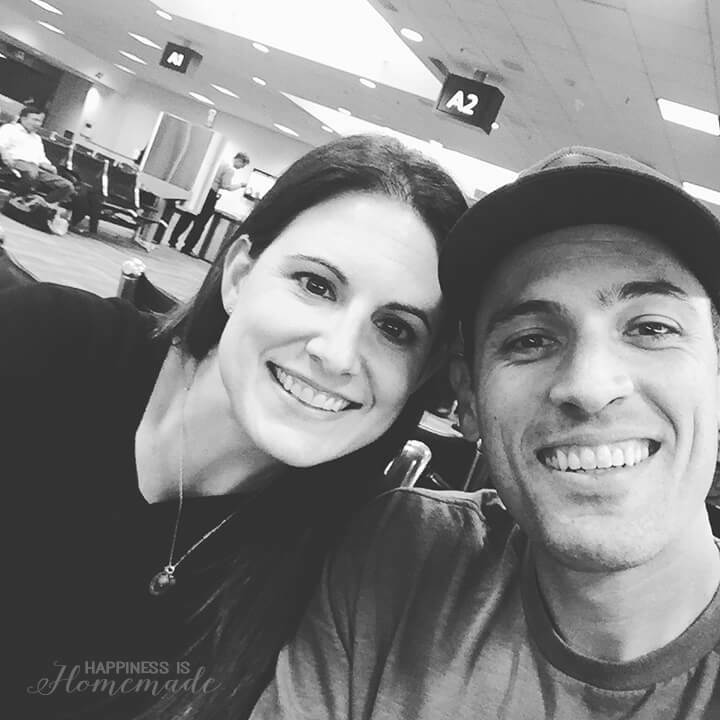 It was a huge honor to have been chosen to attend, and I immediately bought plane tickets for myself and my husband to jet off to paradise. We returned back home from the conference last week, and it was AMAZING! 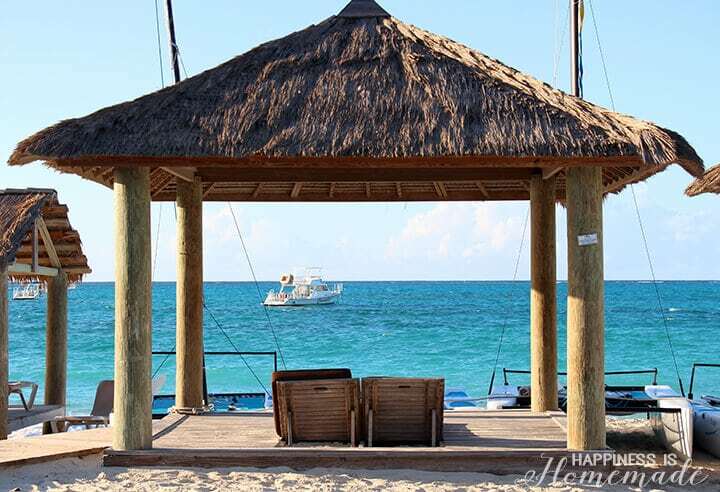 You probably saw all of the gorgeous photos of that incredible turquoise water and white sandy beaches in our Top Ten Things to Do at Beaches Resorts Turks and Caicos that I posted the other day (if not…go check it out. We’ll wait!). 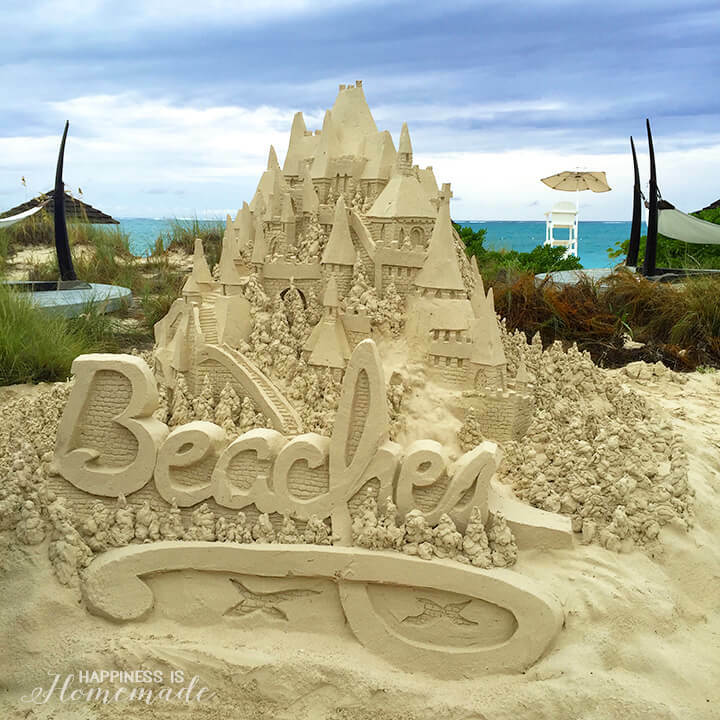 Aside from that dreamy fairytale location, the main reason for our “workcation” was to attend the Social Media on the Sand conference, and I wanted to share some of the events and activities that we participated in at this great conference (hint…it involved lots of networking, inspiration, and of course, social media!). We were all smiles at the start of our 14-hour journey to Turks & Caicos, but I was a bundle of nerves on the inside. 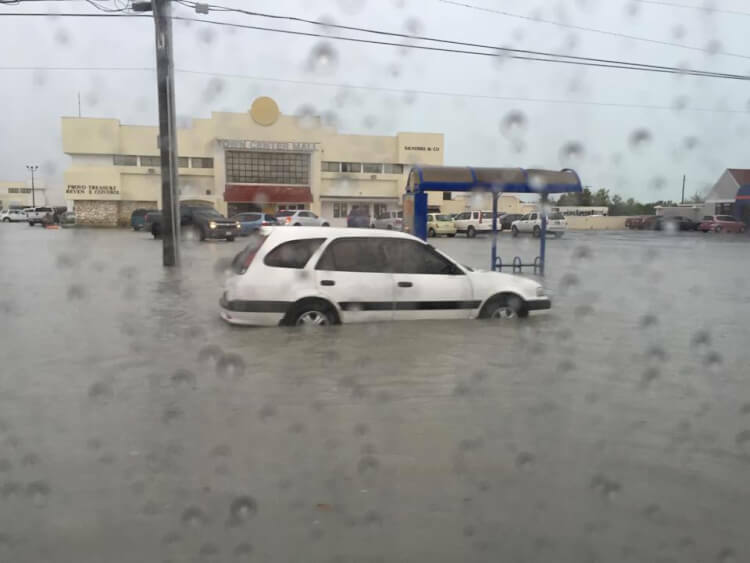 Tropical storms had led to unusually large amounts of rain and flooding in Turks & Caicos, and planes were being diverted to other cities because the airport was too flooded for them to land. My friend, Britni, sent me this photo from just outside of the airport after her diverted plane had finally been allowed to land. I seriously considered staying home for a minute there! Yikes! 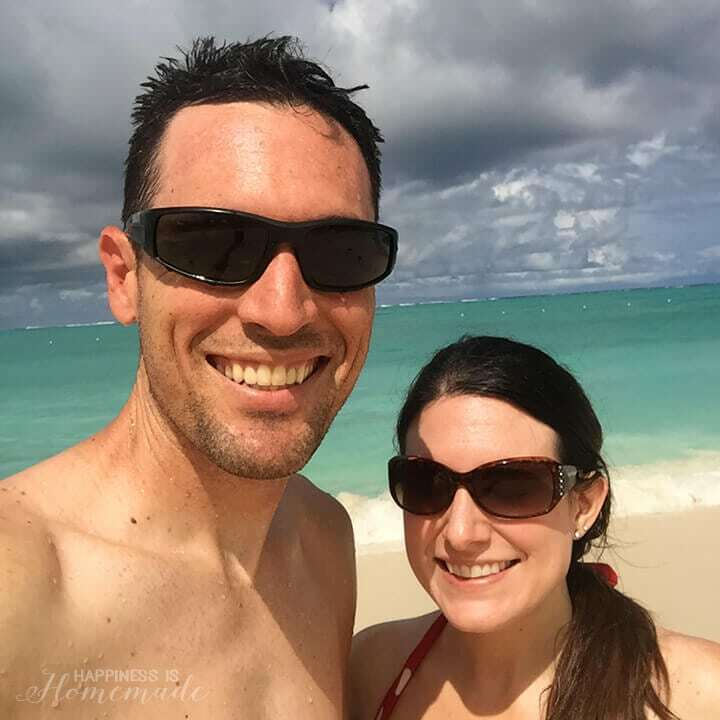 I was SO nervous that we weren’t going to be able to land, but by the next morning when our plane arrived in Turks & Caicos, the rain was lighter, and we made it without any trouble (whew!). 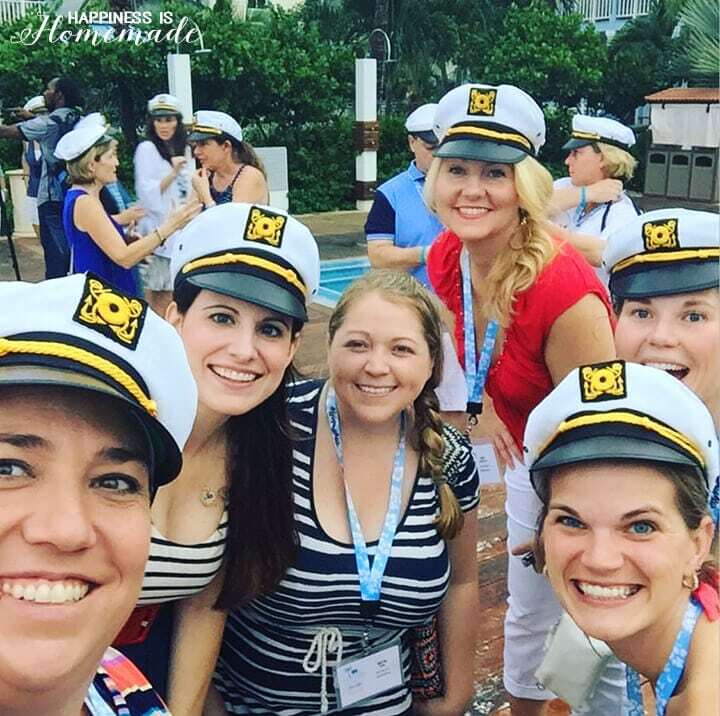 We arrived at Beaches and got settled into our comfortable concierge suite in the Caribbean Village, and then I headed to the first official event of Social Media on the Sand – the nautical themed welcome cocktail party! There’s nothing like tropical drinks in paradise with some of your favorite blogger friends – (L to R) Alli from Made with HAPPY, me, Britni from Play. Party. Pin., Amy from Living Locurto, Cheryl from That’s What Che Said, and Chelsea from Two Twenty One. I absolutely adore these ladies, and I’m glad that we got to spend time together at this conference. I always feel so refreshed and rejuvenated after spending time with other creative women (especially ones who live the same kind of crazy blogger life that I do! ), and each and every person at this conference inspired me in some way. 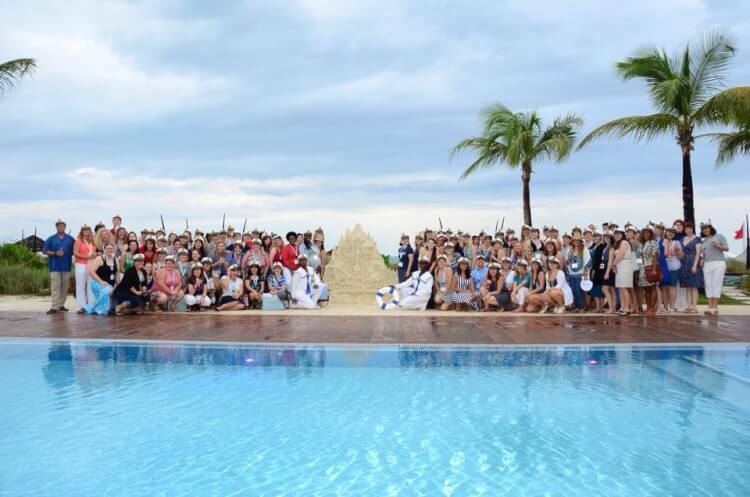 The official group shot of all of the Social Media on the Sand attendees at the opening night festivities. 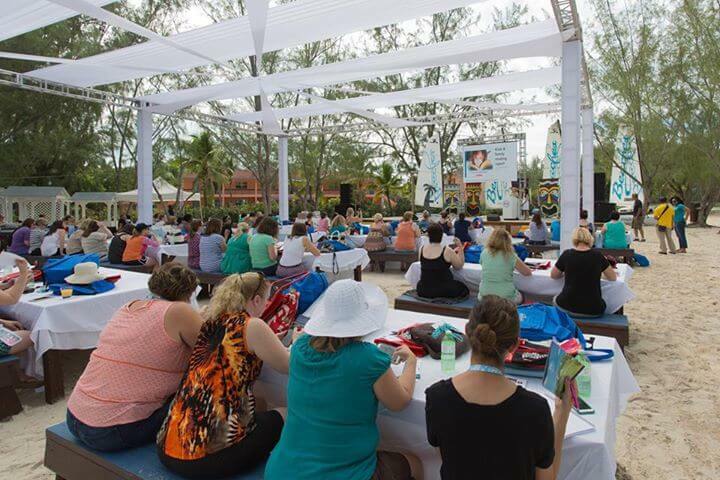 The next morning we gathered in an incredible outdoor conference venue to listen to a presentation about the Sandals Foundation and all of the wonderful ways that they are giving back to the island communities. 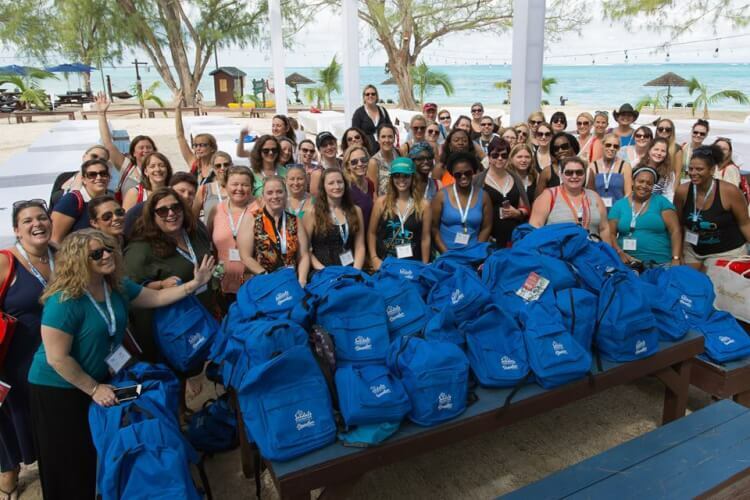 Every blogger in attendance had brought a #PackForAPurpose backpack full of books and school supplies to donate to the local schools via the Sandals Foundation. It was really exciting to see just how many school supplies we had collected for these deserving communities. 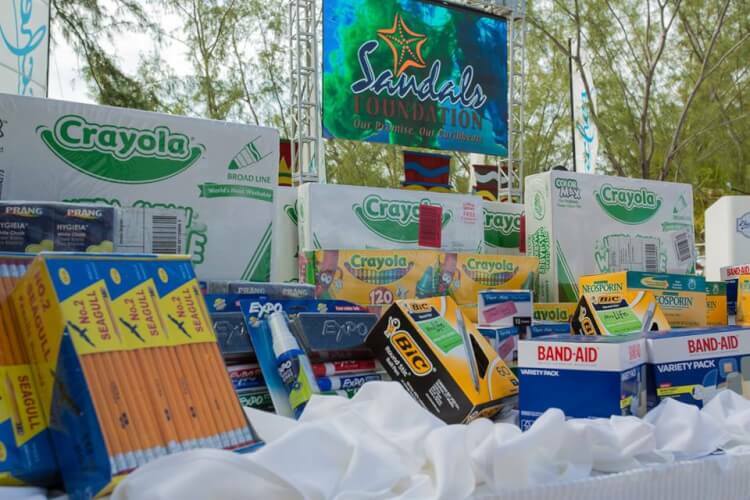 One young woman even started her own fundraiser which brought a substantial amount of much-needed supplies to the island schools! After the Sandals Foundation experience, we listed to a wonderful presentation from Scholastic with Allison McDonald (No Time for Flashcards) and Amy Mascott (Teach Mama). Allison and Amy spoke about their upcoming book release, Raising a Rockstar Reader, and shared a few of their quick and easy tips for fostering a love of reading in your child. 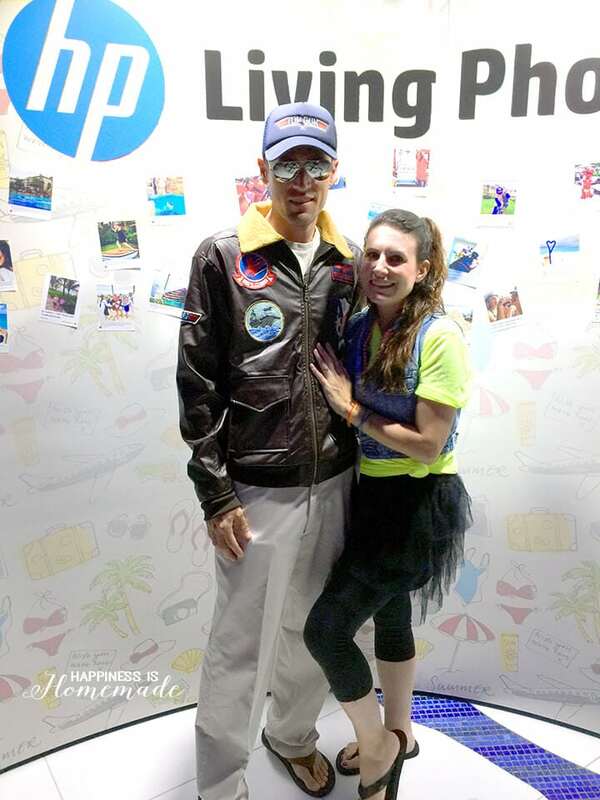 We had the afternoon free to enjoy LOTS of sun, sand and surf, and then we headed back to our suite to get ready for the #ThrowbackThursday 80’s party sponsored by HP. This is how we do the 80’s! My husband resfused to wear anything bright or neon, so we stopped by the Halloween costume store on our way to the airport, and he picked out this totally 80’s Top Gun costume instead. It was definitely a hit! 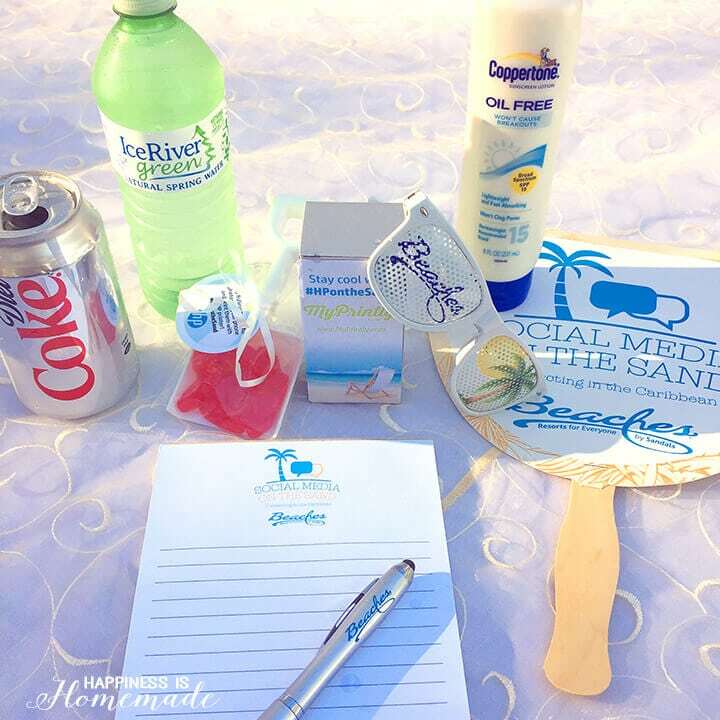 The next morning we reconvened back at the outdoor conference venue, and it was already well-stocked with supplies that we might need – pen, paper, fans, water, sunglasses, sunblock, soda, and gummi fish candy! 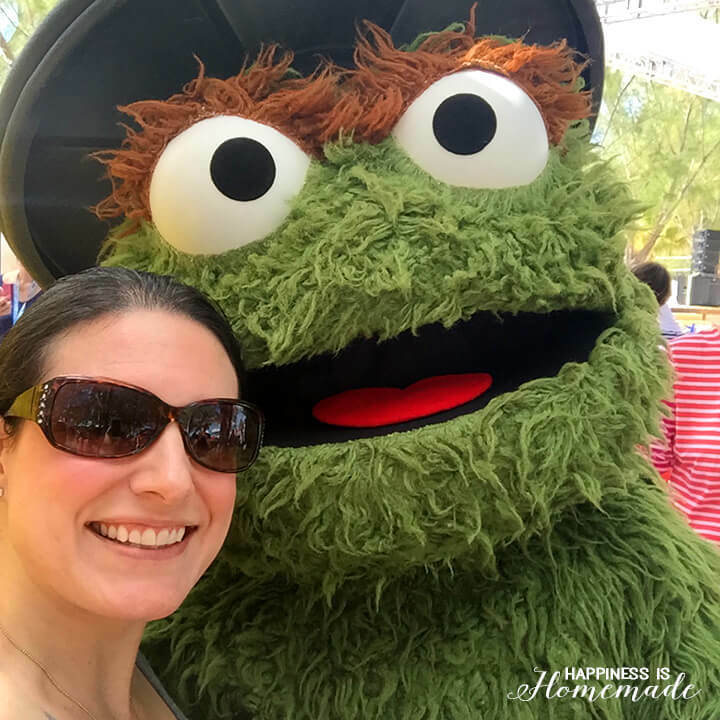 We listened to lots of motivating and inspirational speakers in the day’s sessions including Dan Lewis from Sesame Street, Ilana Wiles from Mommy Shorts, Lori Lorenz from HP, Jennifer Labit from CottonBabies, “Dr. 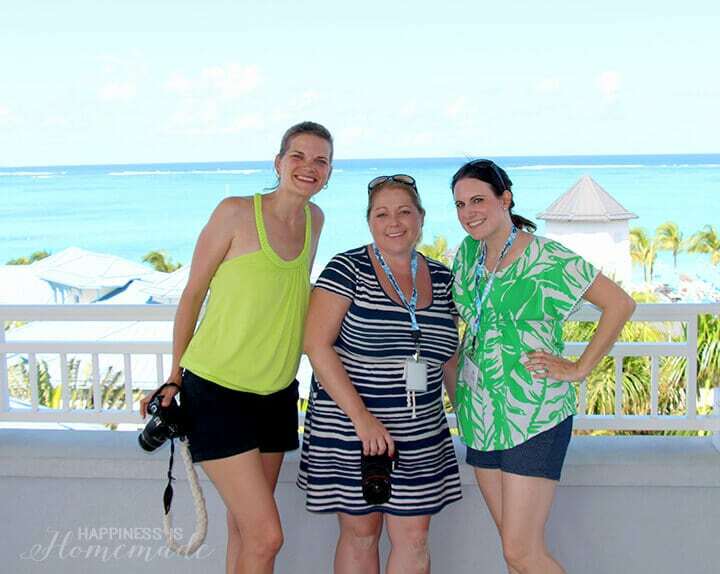 G.,” Deborah Gilboa, Tiffany Mullins of Beaches social media team, and Beaches/Sandals CEO Adam Stewart. 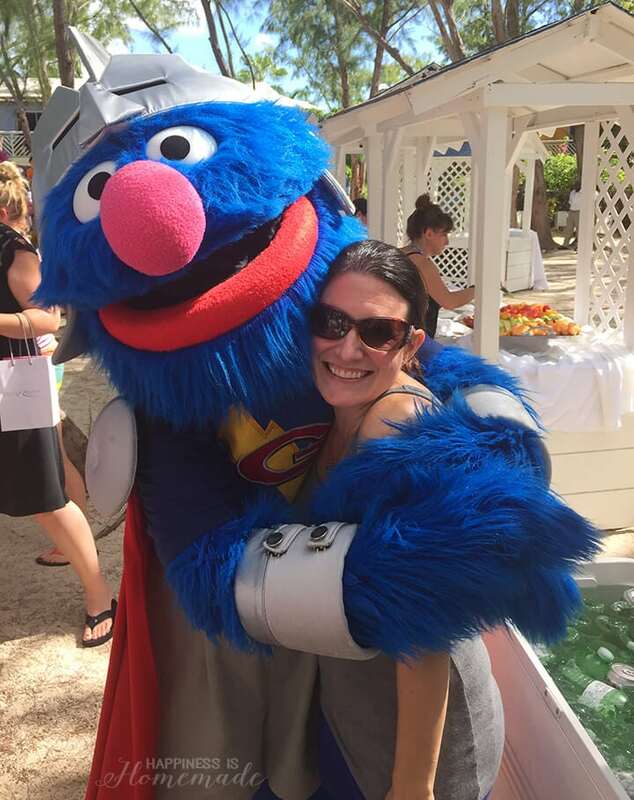 The speakers were all incredibly motivating, but I have to admit that they got upstaged as soon as all of our favorite costumed Sesame Street characters popped in to say hello! 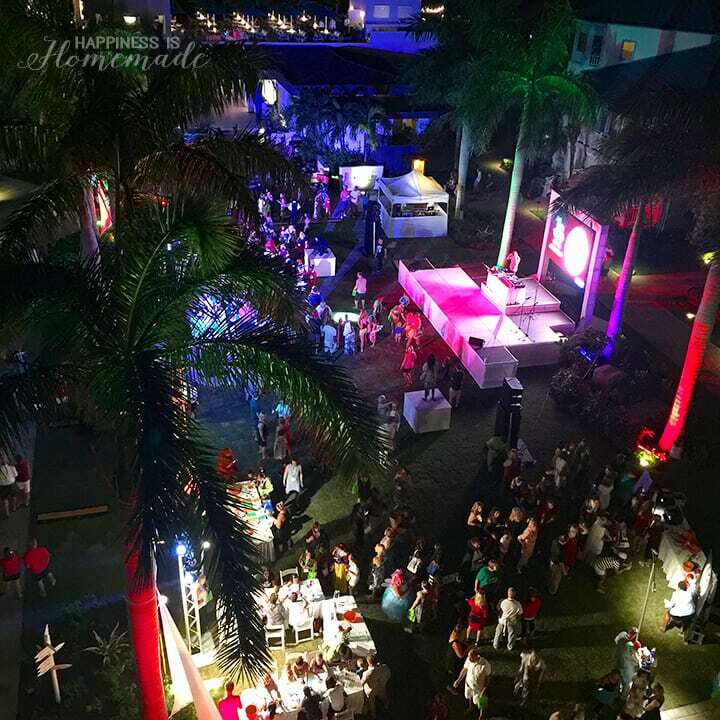 We left the day’s conference sessions with some awesome gifts from Sesame Street and the Red Lane Spa, and we closed out the session with lots of refreshing pina colada popsicles. Yum! 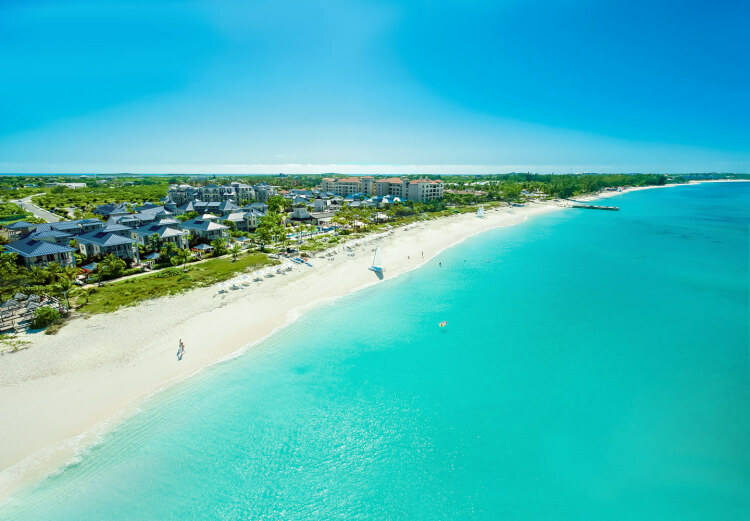 On the final morning of the conference, we broke into small groups for interactive sessions to learn more about the activities and opportunities that Beaches Turks & Caicos has to offer. I went on a behind-the-scenes photography tour of the island with Britni and Cheryl, and our photo guide, Ira, showed us this “secret spot” for taking incredible high angle photos. I went back to the secret spot later that night to take a few photos of the conference’s closing “Trick or Tweet” Halloween party. I can’t believe all of the fun classes, activities and parties that we were able to pack into three and a half days! 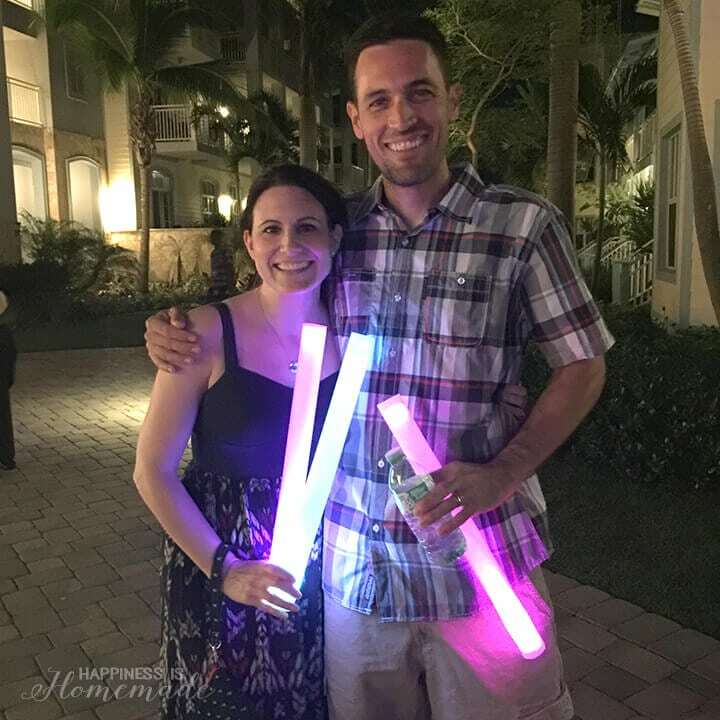 We picked up these fun color-changing light sticks at the Halloween party, and brought them home for our boys. Who knew that they’d end up being the boys’ favorite souvenir from our trip!? 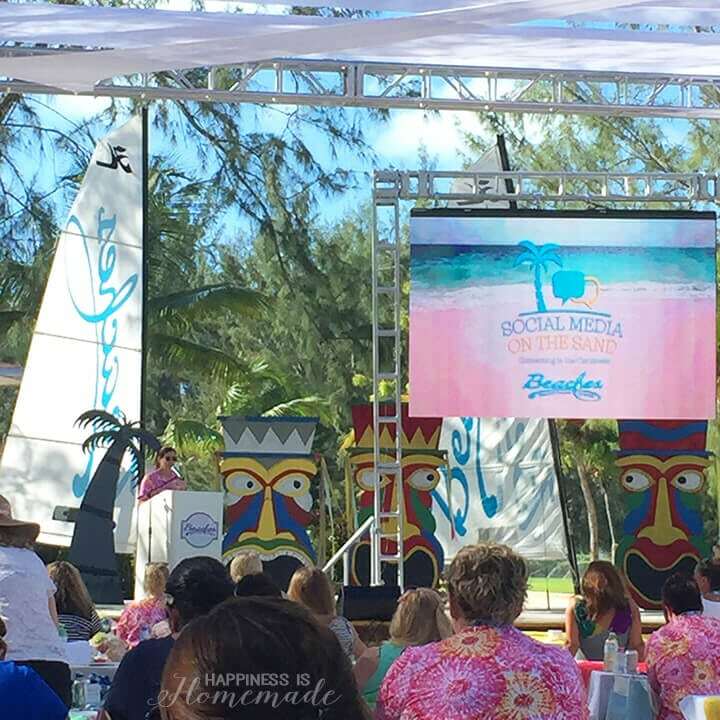 The Social Media on the Sand conference was the perfect blend of motivation, inspiration, play, and relaxation, and Beaches Turks and Caicos was the perfect venue. Aside from being located in one of the most beautiful places in the world, the staff at Beaches is beyond comparison. 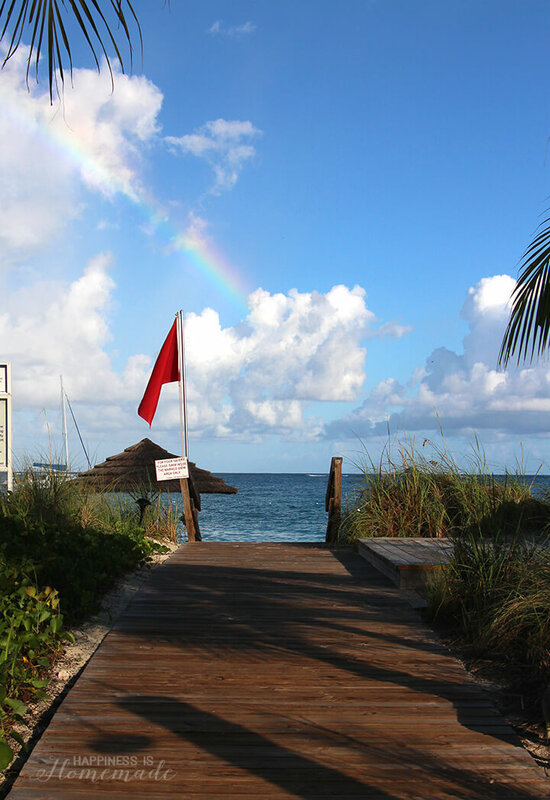 They go above and beyond to make sure your stay at Beaches is everything you could ever want it to be, and they do it all with a smile.